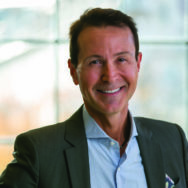 Dr. Fred Pescatore, MD, MPH, CCN, is one of the nation’s foremost authorities on diet, nutrition, complementary medicine, and a wide range of wellness and lifestyle topics. He has a private medical practice in New York City, was the former Associate Medical Director at the Atkins Center for Complementary Medicine, and has written several books, including the New York Times bestseller The Hamptons Diet, Feed Your Kids Well, and The Allergy & Asthma Cure. Good Morning America — author interview on April 29, 2017 at 7:30 a.m. Tiny and Full, Revised Edition Living Large The Recipe Hacker Confidential Shut Up and Cook!